Social Media Marketing (Social Media Optimization, SMO) is the process where various social media networks like Facebook and Twitter in order to hit a larger audience.  Social media marketing services target on obtaining “followers” or users for each social media network in order to expand a marketing message across numerous networks. With most of the businesses switching to social media to find new customers, it is becoming more and more necessary for businesses to make the jump to social. Millions of potential customers follow social media websites like Facebook and Twitter for one reason or another. Each of these social media networks hold potential opportunities for companies to approach out to their target audience. There are better greater opportunities to monetize through providing updates to deals, information about new products and services, and engaging in conversations with potential and current customers to hold and retain interest. Social media networks are constantly growing as internet users are looking for different ways to communicate with others. The social media model is constantly expanding, providing advertising and monetization opportunities to businesses interested in getting involved. It is also becoming a competitive environment where companies each try to attract new visitors to their online presence. Networks also provide appropriate opportunities for branding and deals that social network users can take advantage, giving them the opportunity to obtain exclusive deals or information. This means greater visibility for your company in social media. Our social networking services aim on creating and maintaining numerous accounts for your company on a different levels of social networks ranging from Facebook to Twitter. We implement smart branding techniques to strengthen recognition across these networks and push information efficiently through each network's propagation system. Our agents strive to communicate with potential and current customers through conversation while establishing a connection as one of your in house member in your own team. We also provide and facilitate with blogging services for our clients in order to help with the spreading of the company's message with the intention of improving the content of a certain website. A blog gives a company with valuable targeted keywords, branding initiatives, and can also be designed as a form of communication to users. Content writers will write and deliver articles timely and press releases on the behalf of your company with your search engine optimization right efforts in mind and focused. Incoming links generated in the content will link back to strategic pages on your website so that new links are generated weekly. Press releases and articles are propagated to numerous channels for maximum visibility. What can Socioblend do for my business?